This week Andrew Scaboo accepted a new position at the University of Missouri as Assistant Research Professor in soybean breeding. Scaboo first joined the MU team as a senior research scientist in 2012 and since then has been leading the Northern Missouri Soybean Breeding Program. Scaboo says that though his title has changed, his overall goals for the program remain the same. Scaboo says the best way to improve profitability for farmers in Missouri is to increase the yield potential as much as possible. 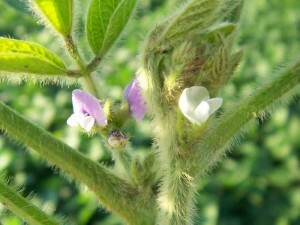 This means creating varieties of soybean plants that are resistant to disease and stress from harsh heat and cold. Michael Collins, the Director in the Division of Plant Sciences believes all the research being done is necessary for Missouri. Collins says himself as well as the producers in Missouri are looking forward to the great benefits Scaboo’s program will bring to Missouri.